SANTA CLARA – A 53-year-old man was arrested for burglary Sunday after he was allegedly discovered hiding in the kitchen of a family home in Santa Clara. Officers responded to a report of a burglary in progress at a Santa Clara residence where three female residents reported that a man was in the kitchen area of their home, according to a probable cause statement written by Santa Clara-Ivins Public Safety Officer Matt Stoker in support of the arrest. The youngest girl discovered the man hiding in the house when she arrived home, the statement said. She called 911 as the man fled the home and left the area on a bicycle. Another one of the residents told police she knew who the man was, the statement said, but he didn’t have permission to be inside the home. She was also able to provide officers with the man’s description. A distance away, officers located a man on a bicycle matching the description given. 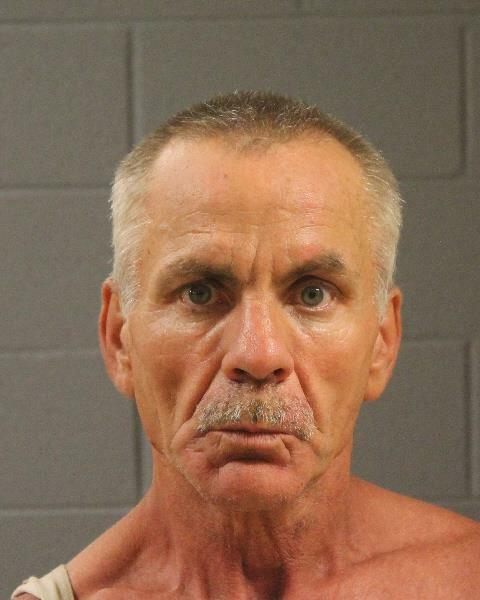 The man was identified as Mark Leonard Bailey, of Ivins. Bailey was discovered to have a television, a small hammer and a folding knife in his possession, according to the statement. One of the residents confirmed the television was hers and that if Bailey had it, he had stolen it out of her home. Officers detained Bailey and questioned him about the incident. Bailey was arrested and booked into the Washington County Purgatory Correctional Facility. He was charged with a second-degree felony for burglary of a dwelling and two class B misdemeanors for theft and possession of burglary tools. Bail for his release pending trial stands at $10,000. He is scheduled to make his initial court appearance in 5th District Court on Friday.